Sick of the same old doors you see on every house. Make people turn and notice your home with these Modern designs. Are you sick of the same style of garage door that you see in most houses? Do you want a garage door that is going to add a “wow factor” to the design of your home? If so, you should call us today and speak to a specialist to discover our wide selection of modern garage door designs! Traditional garage doors can be boring. The look of the traditional steel or wood can make a home seem outdated and bring the property value down. Today, there are many manufacturers that have modern designs that can update your home. There are multiple options to choose from with a seemingly endless amount of choices, so you are sure to find the door that is right for your home. 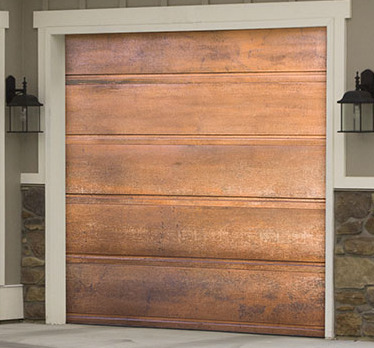 Modern garage doors are well structured with heavy gauge. Steel styles can vary from one to three layers and offer an array of customizable options. Steel collections compliment both contemporary and mid-century homes. Our modern steel doors are available with optional window choices with glass visibility options, multiple different textures, solid colors, or even wood finishes. Various door options are available based on the size and structure of the desired door. 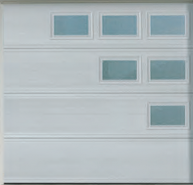 If you like the look of a wooden garage door but do not want to deal with the hassle and upkeep that comes with it, you could also opt for a modern Canyon Ridge series steel door. 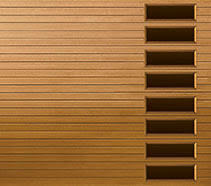 These doors are versatile and look like real wood but require far less maintenance. The modern series design features key elements of contemporary architecture. 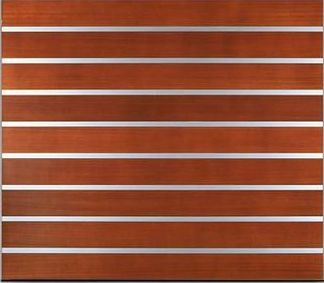 The doors are offered in multiple designs including horizontal plank design with optional aluminum inlay. There are also full glass view design options. 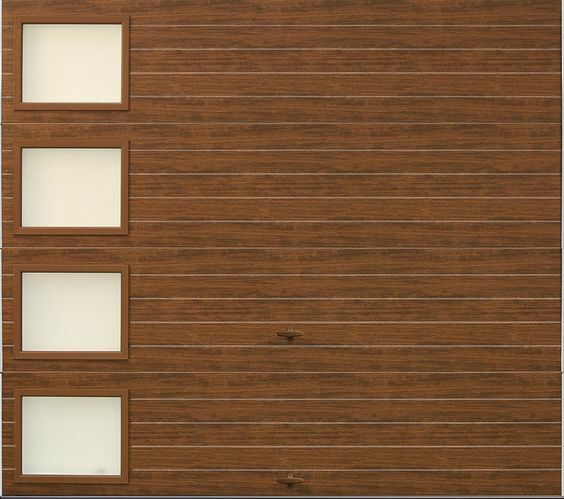 Each efficiently insulated door comes in two different composite overly cladding grain styles with six different simulated wood finishes and four different glass visibility options. Any of the above-mentioned doors can be expertly installed using our team of highly skilled experts. As if these options are not enough, we also have the option of working with additional manufacturers so that we can find the ideal door to match the vision you have for your home. From fiberglass to copper, to mosaics and wood tone accents, the options are limitless. 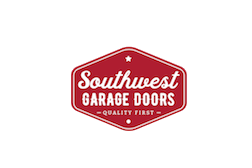 Call Southwest Garage Door today, and you can make an appointment to work with our team to get your house, and your garage, exactly the way you have always dreamed. 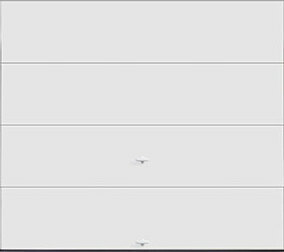 Optional window choices but, they can only be positioned across the top panel or 3rd panel from the ground. 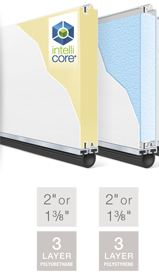 Garage door insulation options include 2" or 1-3/8" Intellicore polyurethane, 2", 1-3/8" Polystyrene. 1-3/8” only available in Modern Flush w/ textured wood grain or stucco finish. 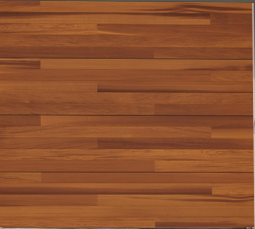 2” Available in every design including Modern Groove textured wood grain or stucco finishes. As versatile and realistic-looking as natural wood but requiring far less upkeep, the Modern Series door designs feature key elements of contemporary architecture. 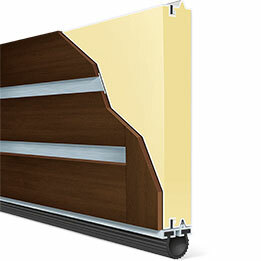 Offered in a horizontal plank design, horizontal aluminum inlay between planks, and full glass view design options. Efficient insulation values between 6.320.4 R-Values w/ polyurethane insulation.